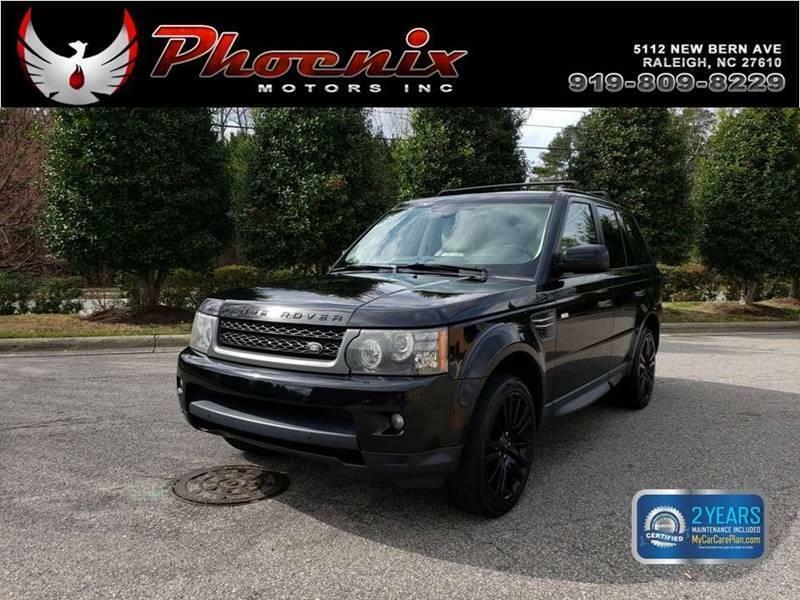 I would like to learn more about this 2010 Land Rover Range Rover Sport HSE 4x4 4dr SUV. Please contact me as soon as possible! The Range Rover Sport blends on-road performance dynamics with off-road capability, boasting a powerful V8 engine and an agile chassis. The Range Rover Sport seats five and is smaller than the flagship Range Rover but larger than the Range Rover Evoque. Range Rover Sport HSE comes with leather upholstery; dual-zone automatic climate control with pollen filter; GPS navigation system with touch screen, 380-watt 14-speaker harman/kardon AM/FM/ audio system with virtual CD/MP3 player, iPod and USB; rain-sensing wipers; front and rear Park Distance Control; powers windows, locks, mirrors, seats; power sunroof; HomeLink garage door opener; footwell lights and puddle lights; folding rear 65/35 seat; and 19-inch alloy wheels. The Luxury Package adds the complete Climate Comfort Package, plus premium leather including a leather-wrapped steering wheel; adjustable side bolsters for the drivers seat; a climate-controlled storage console; 20-inch alloy wheels; and 480 watts worth of harman/kardon sound with a changer for six physically present CDs. Safety equipment includes front, side and curtain air bags, ABS, Electronic Brake Assist for extra boost in an emergency stop, Active Roll Mitigation, Roll Stability Control, Dynamic Stability Control to help maintain directional control, Hill Descent Control for steep inclines, Gradient Release Control Terrain Response, Four-wheel Electronic Traction Control, Electronic Brake Force Distribution, pre-tensioning front safety belts, automatic protection sequence (in a crash, shuts of engine and fuel, unlocks doors, activates hazard and interior lights), LATCH child seat attachment.